On making our way to the ground floor, Kent, Keith and I headed straight to The Gentleman’s Hub at the George Street end of the Strand Arcade. 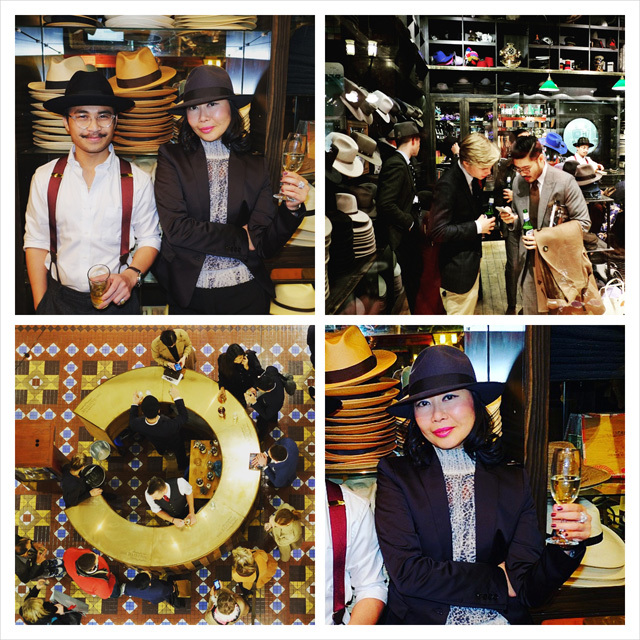 The Gentleman’s Hub was right out front of my favourite store – the Strand Hatters; plus why not be near the pop up whisky bar serving The Balvenie Whisky; and of course, to meet special guest, stylist Jeff Lack, who was signing copies of his recently launched book ‘IndulGENT’. I’ve shopped for my fedoras; panamas and berets in this men’s hat store since I first moved to Sydney many many years ago. As Kent and I stepped into Strand Hatters, where both of the fedoras we wore that evening were purchased. “Let me give your fedora a brush-up!” Our friend Johnel from the store kindly offered. 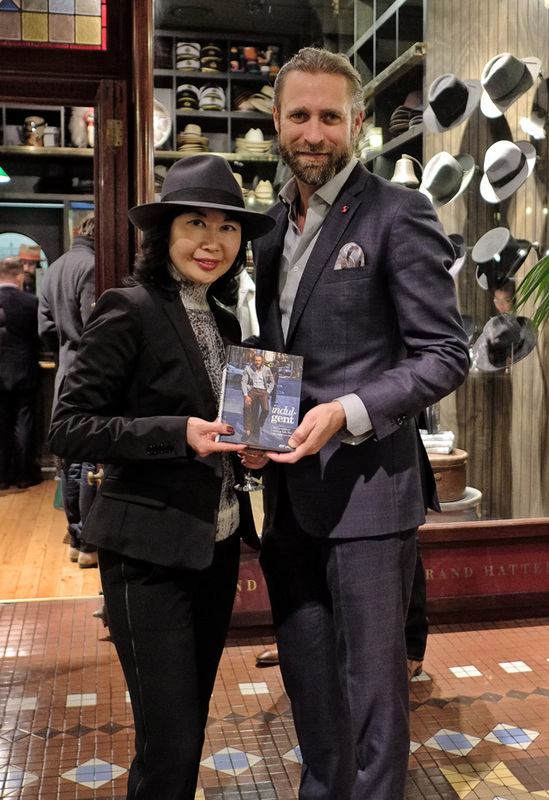 Stepping out of Strand Hatters, I found myself face to face to this tall; handsome and very dapper stylist Jeff Lack, who was making a special appearance that evening to promote and sign copies of his latest men’s dressing guide – IndulGENT. “I like your style!” Jeff said to me. To hear this from Mr. dapper stylist himself made my night! Jeff kindly agreed to have his picture taken with me and didn’t we look great?!!! Before we called it a night, Kent; Keith and our other friends all lined up to get a last shot of The Balvenie Whisky. It was a cold end of winter that night in Sydney, but our time at Strand Arcade’s Evening With Our Designers was vibrant; colourful and oh~so~warm!!! Your fedora looks really nice, you are rocking it! Kisses! That was one hell of a fun evening. Great write up and thanks for the plug! The fedora looks great on you!